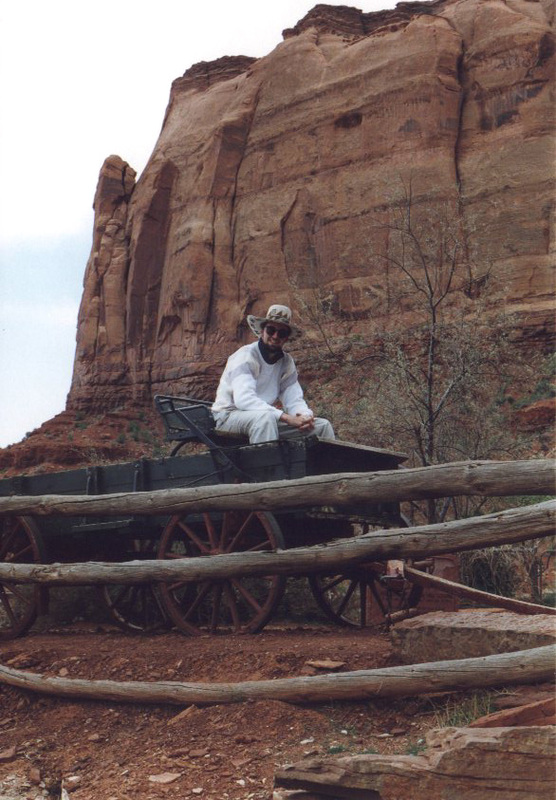 Here I am - drivin' my ole wagon 'cross the frontier! This was taken right at Goulding trading post, a headquarters for the movie making business. That monument behind me is about 50 yards away, and it is a sheer cliff all the way up.